The holiday season is rapidly approaching, and retailers are jostling into position to take advantage of a growing economy and increased consumer confidence. With the uncertainty surrounding trade wars and tariffs, increasing sales is one way to mitigate the potential negative impact on a company’s bottom line and reassure investors that you can weather the storm. Since the advent of “fast fashion” and the disruptive “Amazon Effect,” the stakes have been upped for retailers, pushing the traditional pace of seasonal planning to a faster, more reactive speed. When it comes to inventory management, new trends are demonstrating that less is more. Having less inventory on-hand increases liquidation, allowing for a more agile response to shifting consumer trends. This is never more necessary than when preparing for the holiday season. Retailers are pressed to demonstrate huge gains as holiday shoppers flock to stores and websites, looking for great deals. Especially since many retailers have already purchased and shipped their goods ahead of the looming tariff changes. Companies that have too much inventory on-hand right now are struggling to clear out space ahead of the season, slashing prices and concerning stakeholders as profit margins creep downward. Recent industry reports detail the plight of retailers who aren’t utilizing agile inventory management to their best advantage. Companies that were decreasing their inventories saw huge leaps in comp sales, while those with too much on hand struggled to realize a profit. To stay ahead of the curve, retailers need to future-proof their organizations by embracing technology that enables the smooth ebb and flow of inventory management. The best way to maintain an advantage over competitors as the holidays draw closer (and the year-end approaches) is to employ a platform that offers full, end-to-end supply chain visibility. There’s no shortage of technology solutions out there to help companies manage their inventory, but that’s just a small part of becoming truly agile enough to respond to the swiftly-changing consumer demands and trends. Retailers we have spoken to have confirmed that bottlenecks often occur early in the product lifecycle, beginning with raw materials specifications. Collaboration on product lifecycle management (PLM) data can provide advantages during initial costing and material acquisition. Proactive collaboration with mills, tanneries or other raw material suppliers is a built-in insurance policy. For example, if the brand defines target production capacity for each style in the collection, material suppliers can anticipate their production orders for each month or quarter. Then, by tracking committed quantities versus actual orders placed, the brand can work closely with its suppliers and factories to accurately determine usage and the need for further material orders. Visibility into material order status (in conjunction with production tracking, often called WIP) at the factory level ensures product delivery dates will be met by providing the brand with the ability to react when necessary. Without a collaborative material management program, companies face an increased risk of inventory mismanagement. However, a technology solution that only provides visibility without a means to right the course isn’t enough to ensure reliability. To keep abreast of the latest trends, companies need a collaborative supplier-side portal that supports communication between brands and suppliers in real-time. This type of instant communication will ensure that all parties are on the same page. Having a long-range view provides the sourcing teams with a bigger time margin so they can correct the impending disruption by communicating directly with the factory or taking other reactive measures. By implementing a supply chain execution platform with exception-based management and what-if functionality, you can see if changes are going to be necessary in the stages further downstream. For example, the brand might opt to change an order’s transportation mode to minimize transportation costs if it knows it is ahead of production schedule. Once the goods are ready to ship, it is now more critical than ever to ensure they move without delay. Companies that excel at maintaining just the right level of inventory (often called “just in time inventory”) can’t afford shipment delays. The traditional process of communicating shipment information to logistics service providers, who then create the booking, leaves room for error and time on the table. The most cost-effective and efficient means is to enable the factory with digital tools to complete the shipment booking. The vendor, at the factory level, has visibility into which purchase order (PO) line items are ready, and they can provide accurate and required information regarding the shipment, like carton sizes and other related data. By further enabling factories with a digital solution that connects them with the logistics service provider (LSP) directly through a centralized cloud platform, companies can achieve improved compliance and speed-to-market by executing the booking request at that level. Today’s digital supply chain execution solutions provide a platform that bring together all of the parties in a supply chain, making data more visible, and creating greater agility. Instead of working in silos, each vendor and partner work collaboratively from start to finish. By removing the uncertainty from the supply chain, companies gain a better handle on their inventory and the ability to react swiftly to changing trends, thus leading to reduced costs and higher sell-through. While the upcoming holidays might mean you can take some time off and spend time with family enjoying the season, it’s important that you act now on inventory management so there’s no interruption to your holiday retreat. Gary M. Barraco is Director of Global Product Marketing at Amber Road. 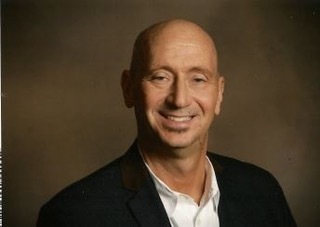 As the platform evangelist, Gary is responsible for developing strategic product marketing direction and presenting the Amber Road brand and solutions worldwide. He develops and launches customer insights, go-to-market plans, product messaging and content, and field marketing tactics which establish Amber Road’s solutions as a standard in the Global Trade Management space. Gary has presented at many large industry events and you can find his thought leadership publications in many trade publications.